There’s a million of them. 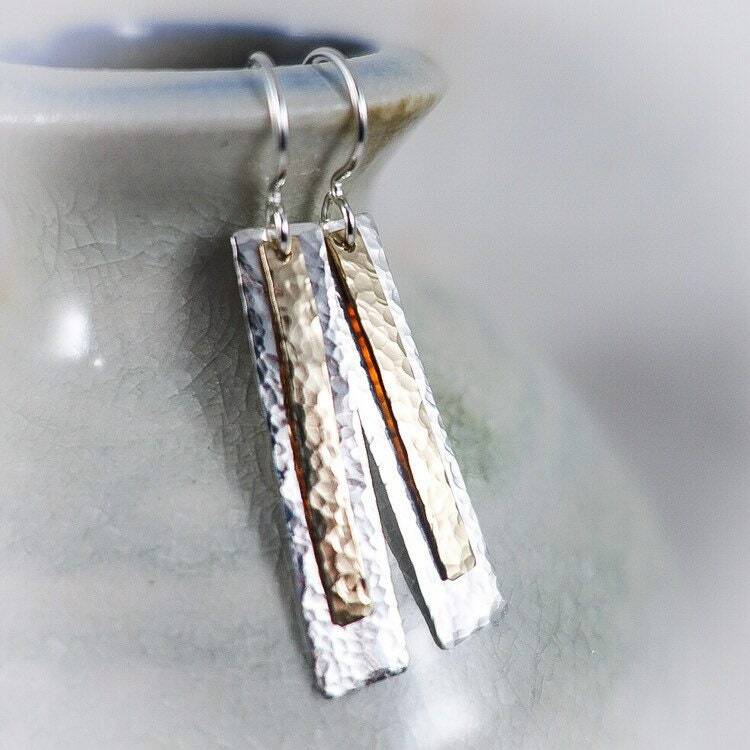 These earrings are inspired by duets that make your everything sing! 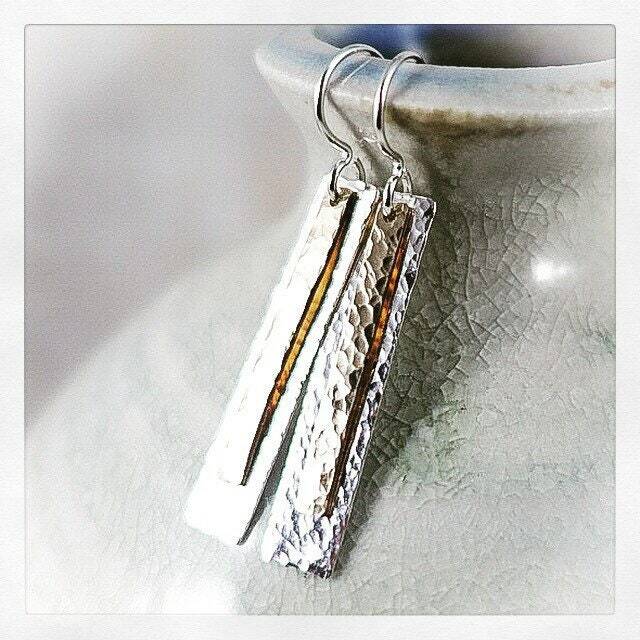 Hand forged two tone dangle earrings. 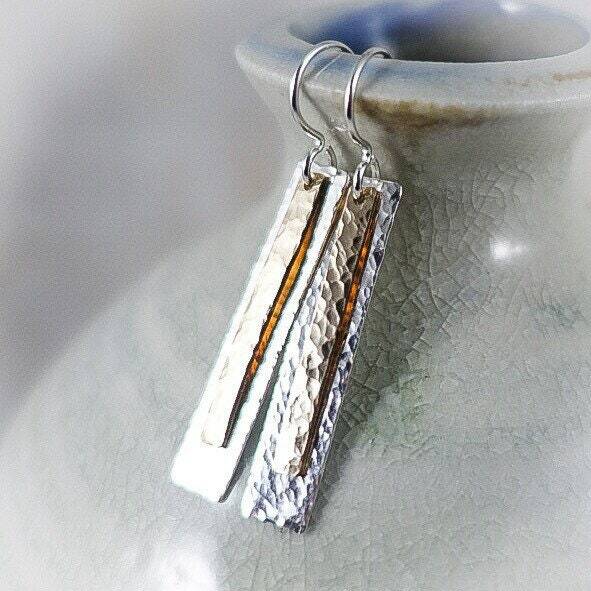 A larger sterling silver rectangle is joined with a smaller gold rectangle, both with delicate hammered texture that move together and hang approximately 1.25 inches from sterling silver ear wires. Rubber clutches provided for security.